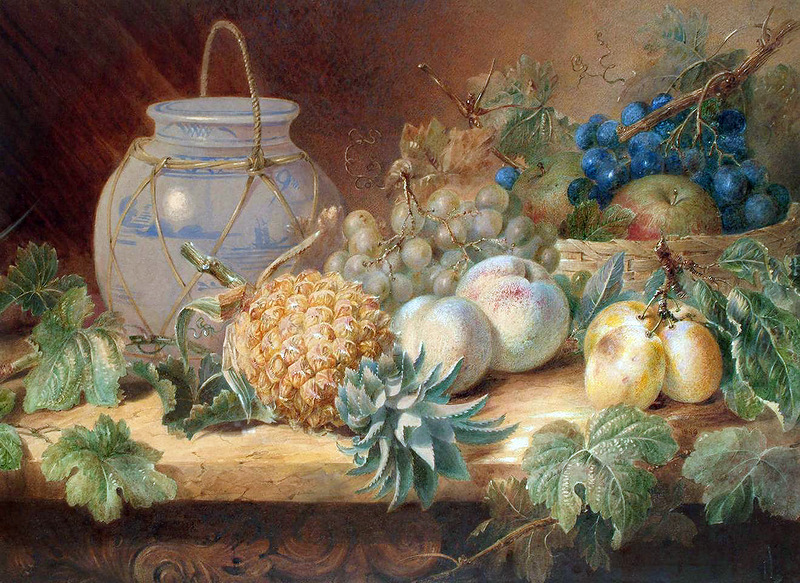 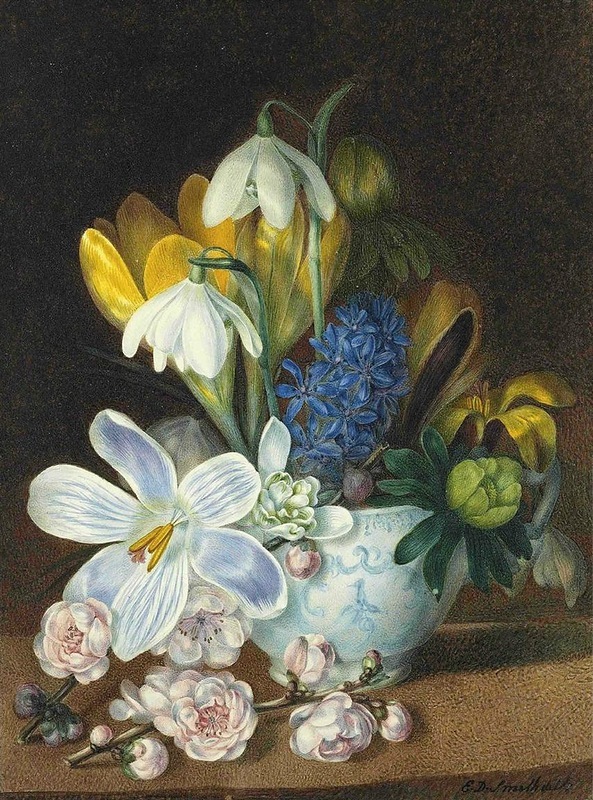 Valentine Bartholomew [1799-1879], British painter, became an early member of the Society of Painters in WaterColours, which he joined in 1835. 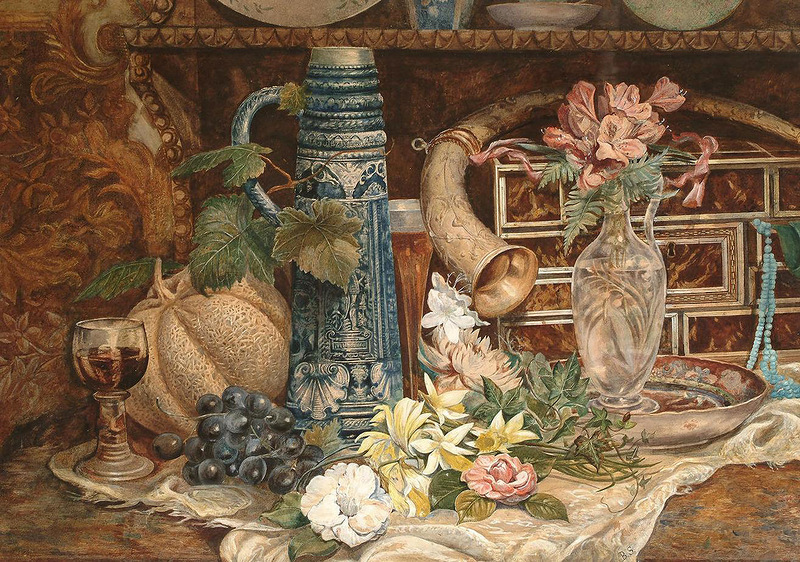 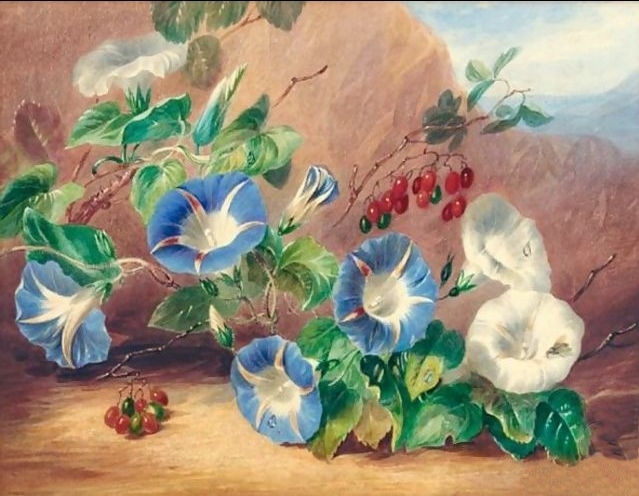 He had a special talent for flower painting, a branch of art which he pursued with much success, his works being chiefly remarkable for the great care and the large scale on which they were carried out. 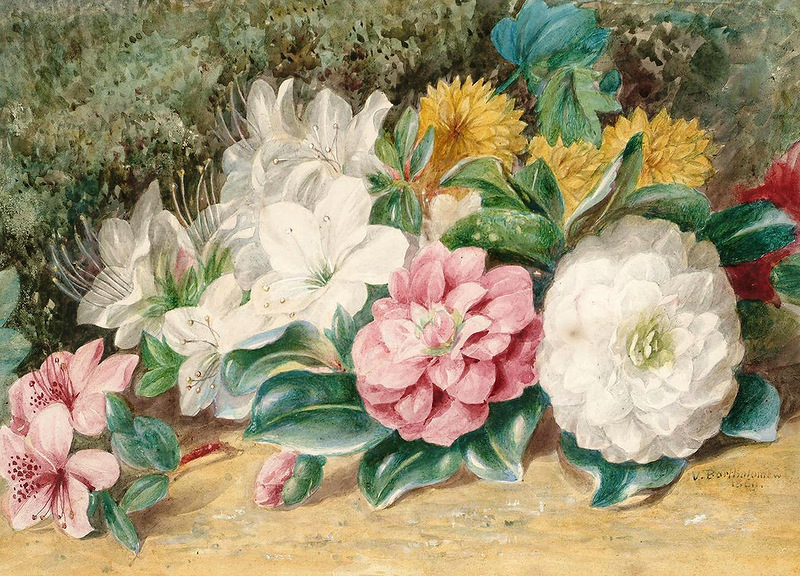 "Azaleas" and "Camellias" are in the South Kensington Museum. 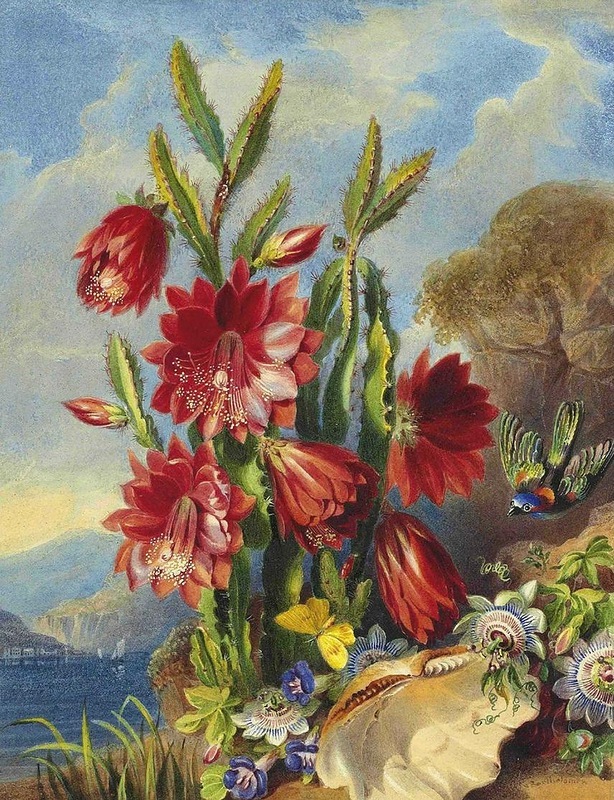 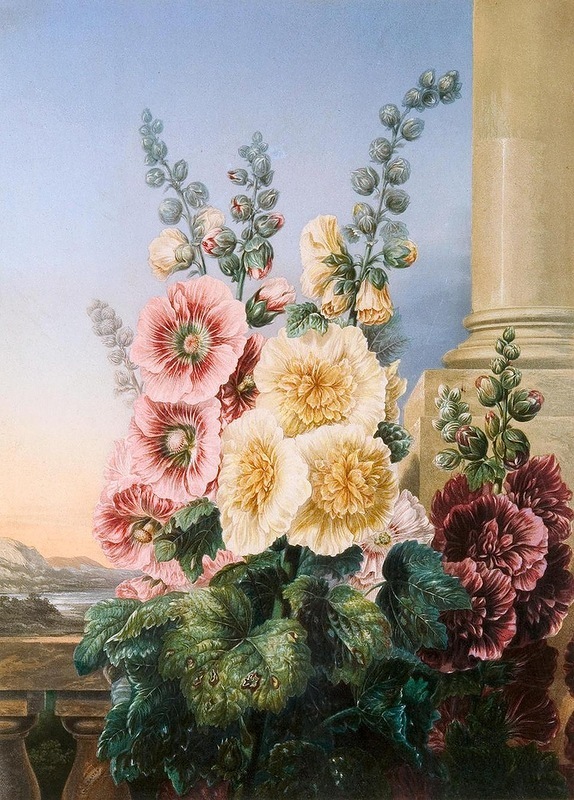 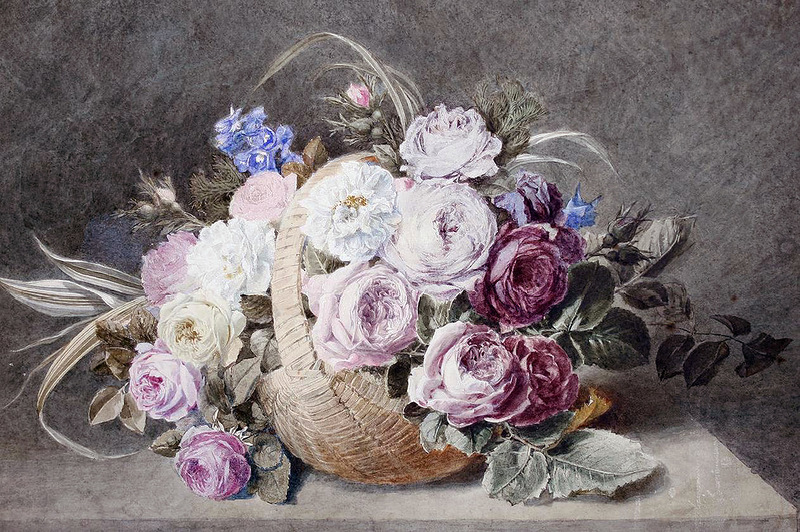 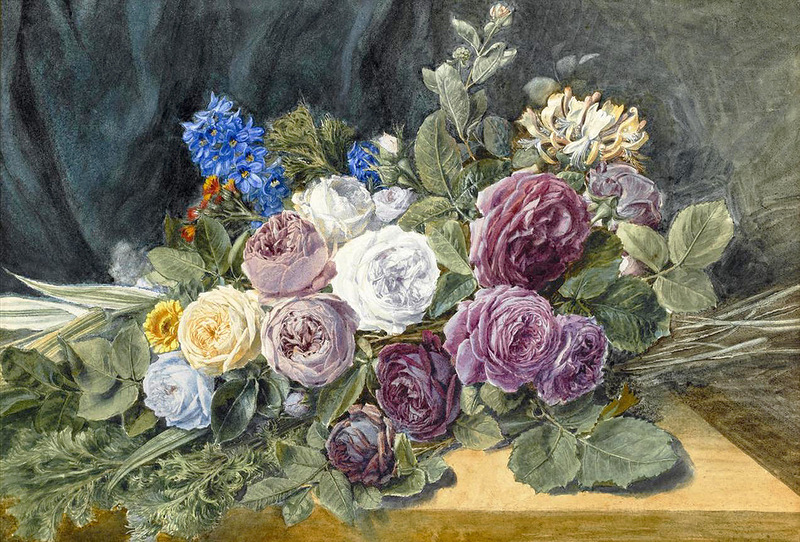 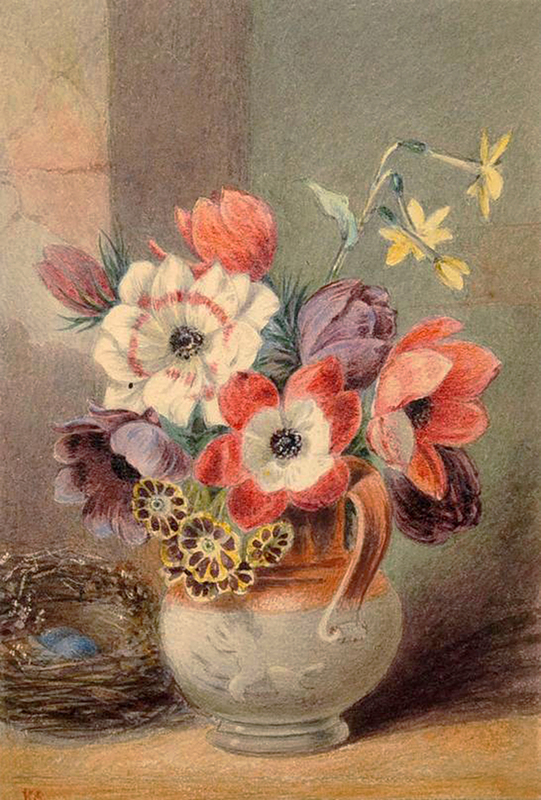 Bartholomew held for many years the post of Flower painter in Ordinary to the Queen from 1837.